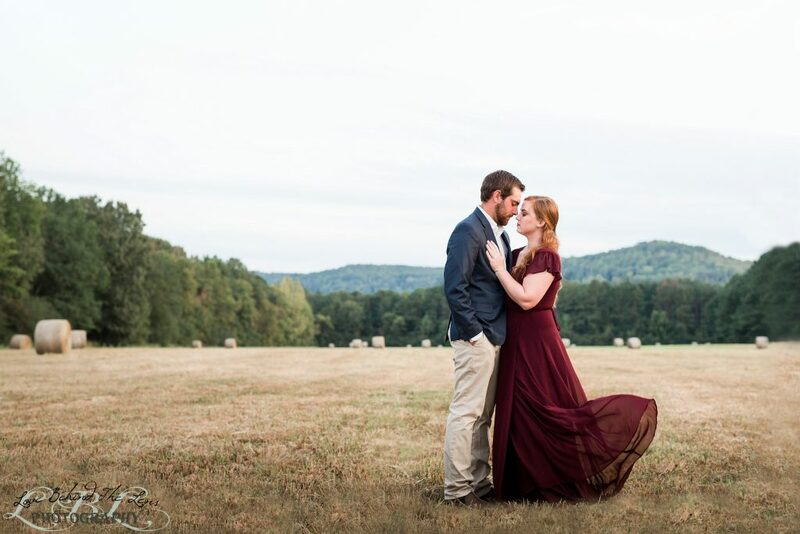 When we had our consultation with this couple we knew we were in for a treat! 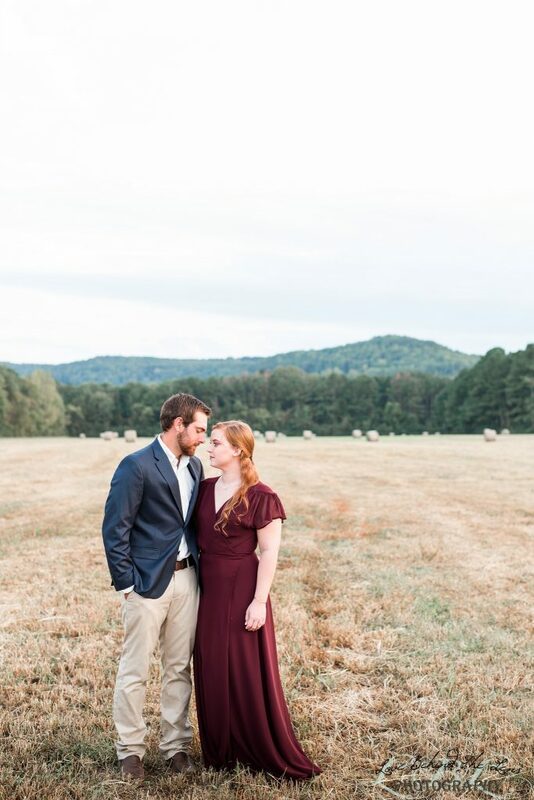 They told us their wedding would be on Ariel’s families land. 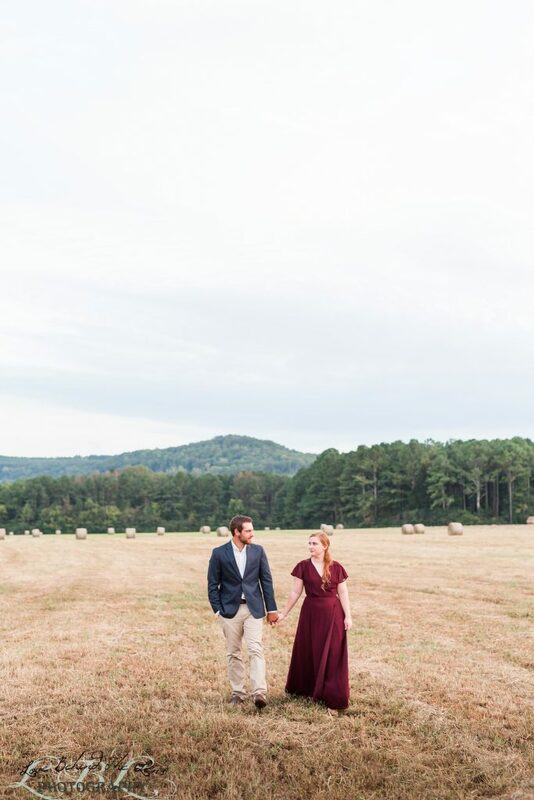 We knew it would be a beautiful location but nothing prepared us for the breath taking mountain view just beyond the field. 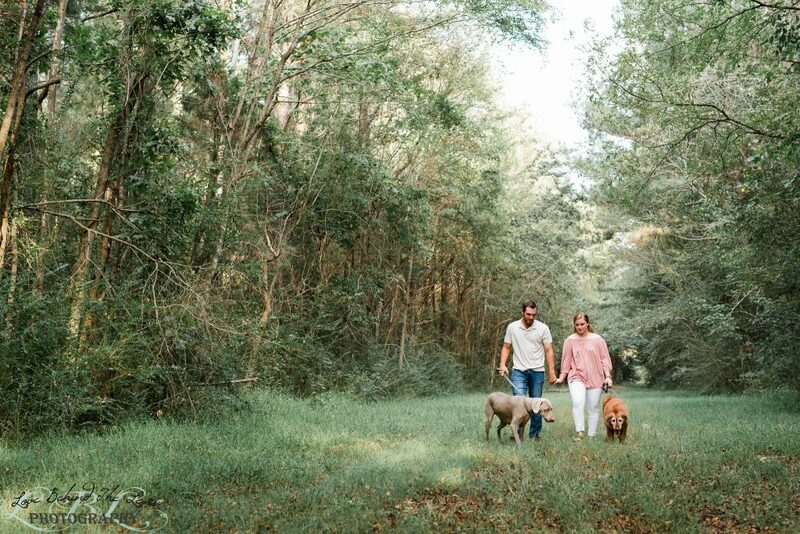 When we arrived at Ariel’s grandmother’s house we were greeted by a bunch of sweet pups! 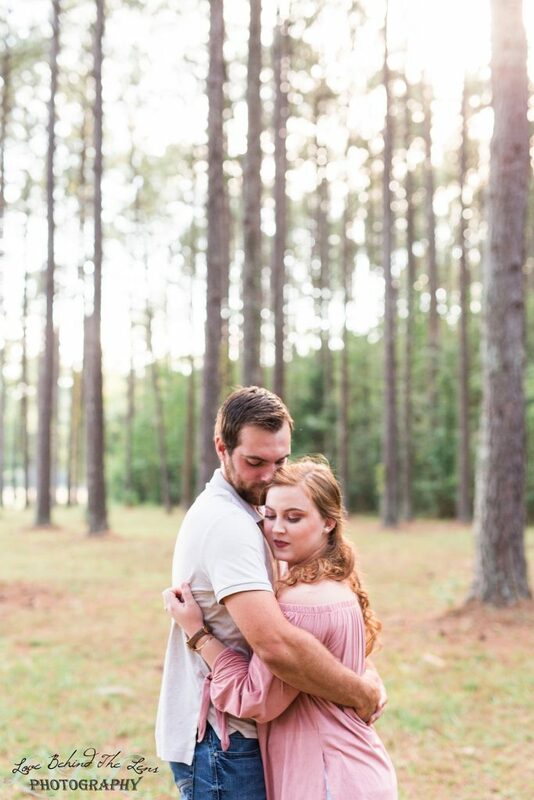 It took all we had not to just laid down on the ground and play with them before the session. 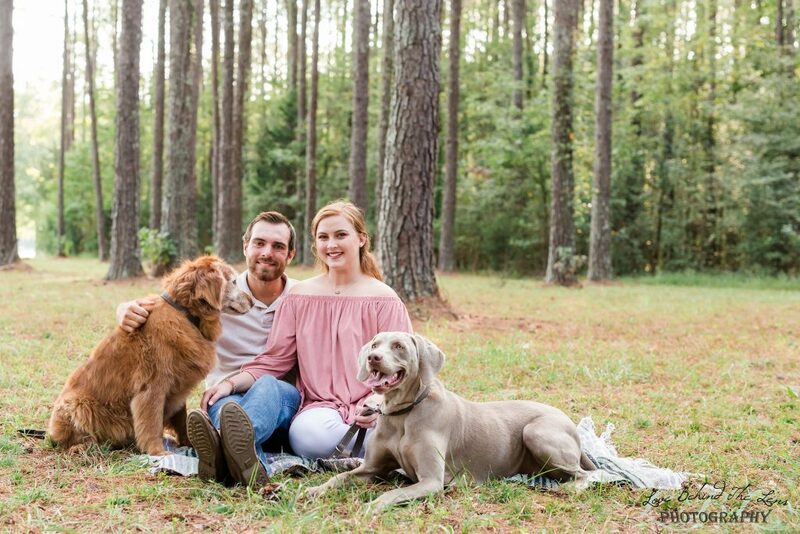 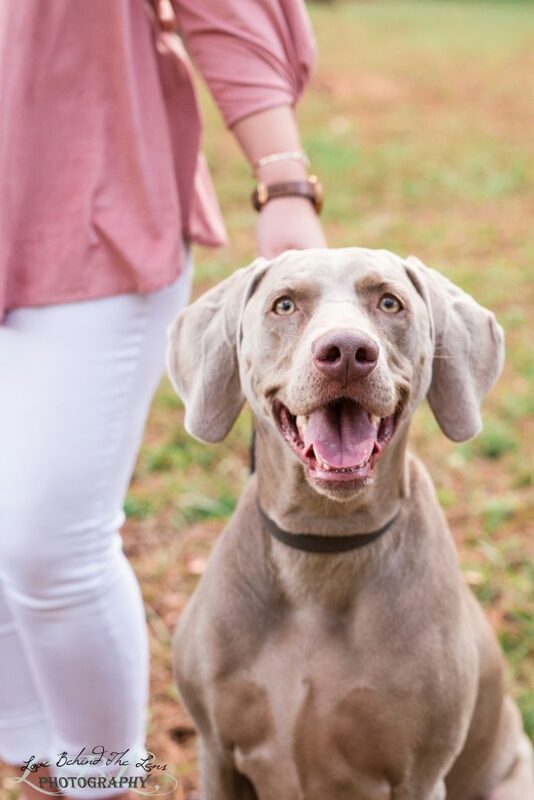 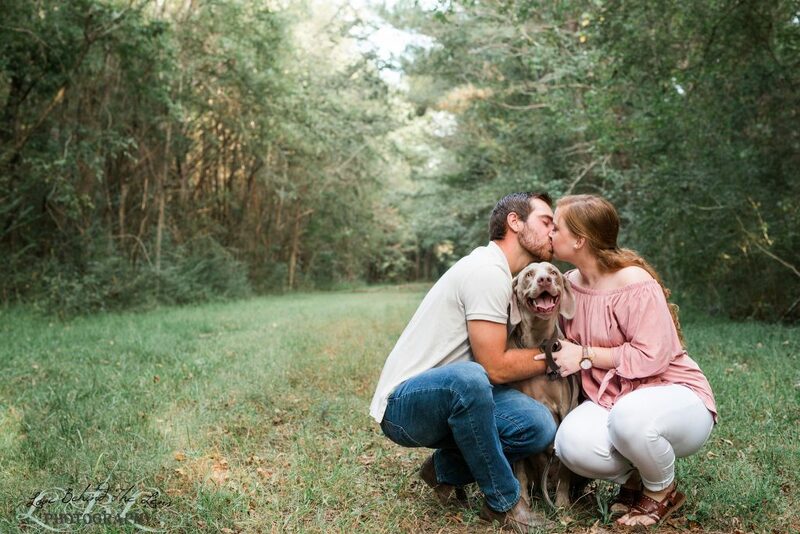 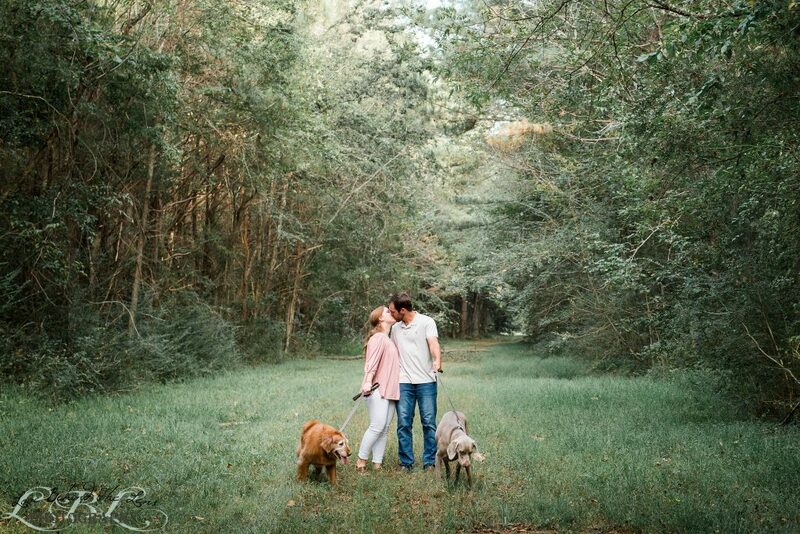 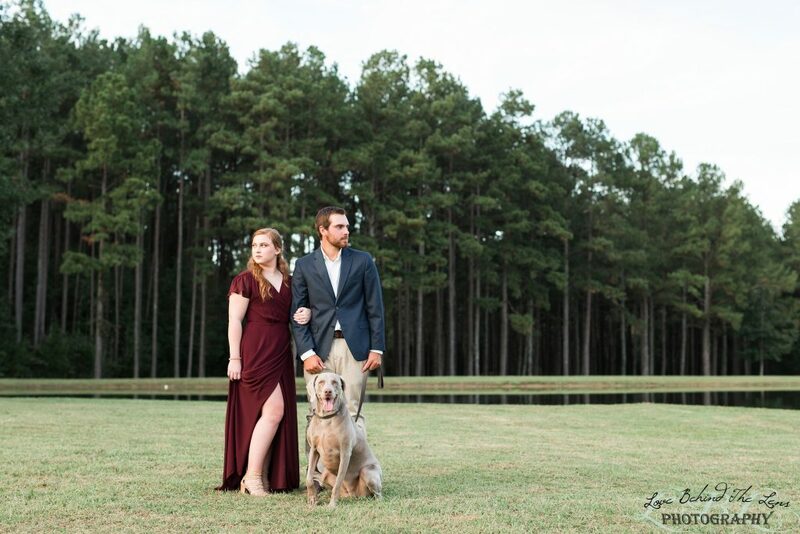 For the Engagement session Ariel decided to bring her two dogs along for some family photos. 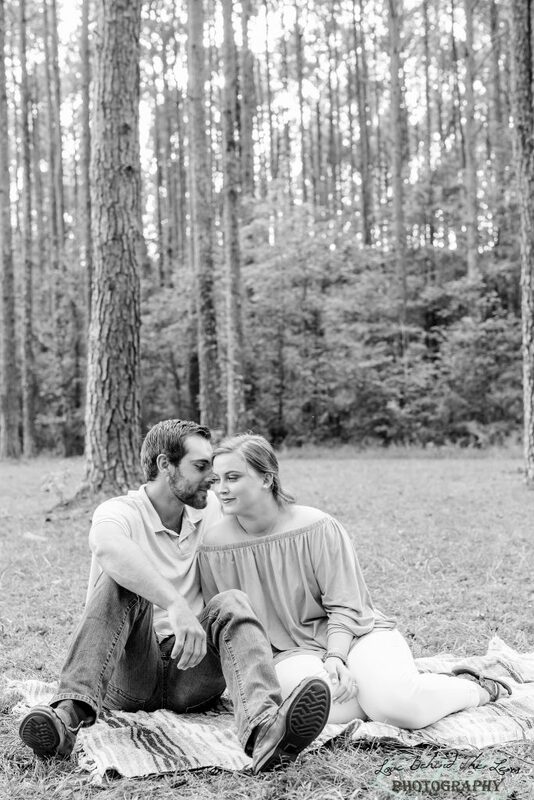 Sweet Lady was a bit afraid of the camera but Ashton was a complete pro. 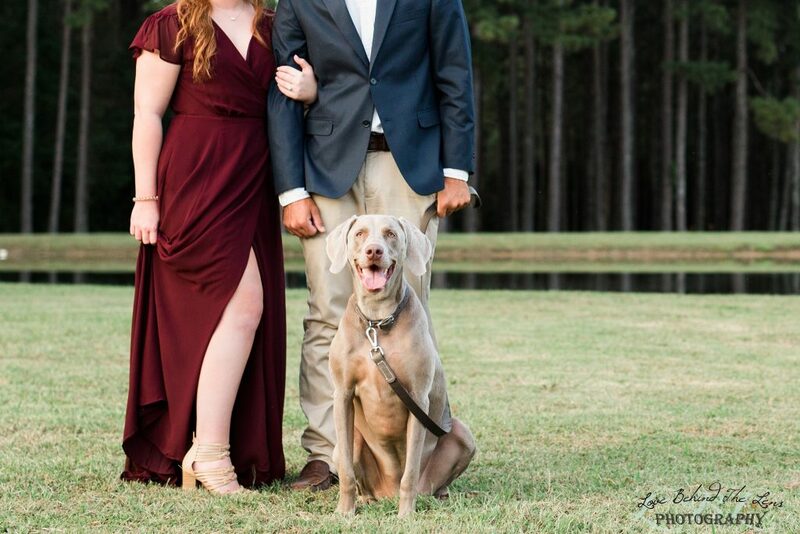 You could tell she was used to posing for photos and had no problem with being the center of attention! 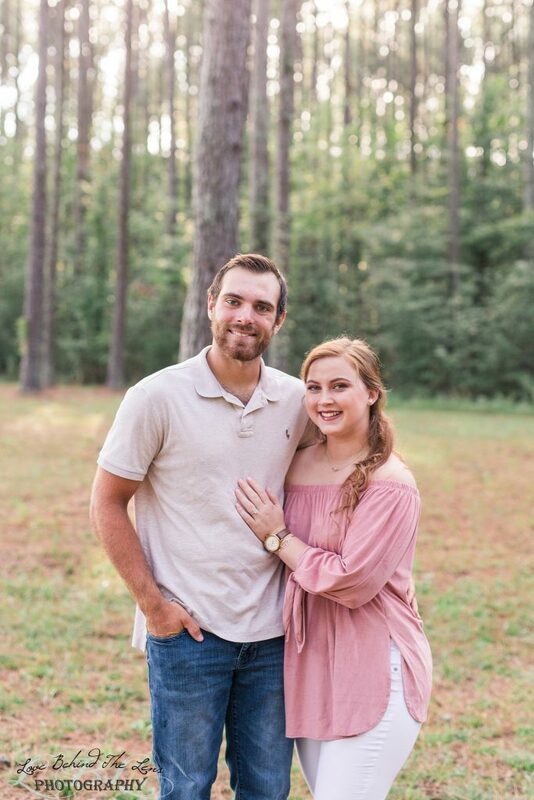 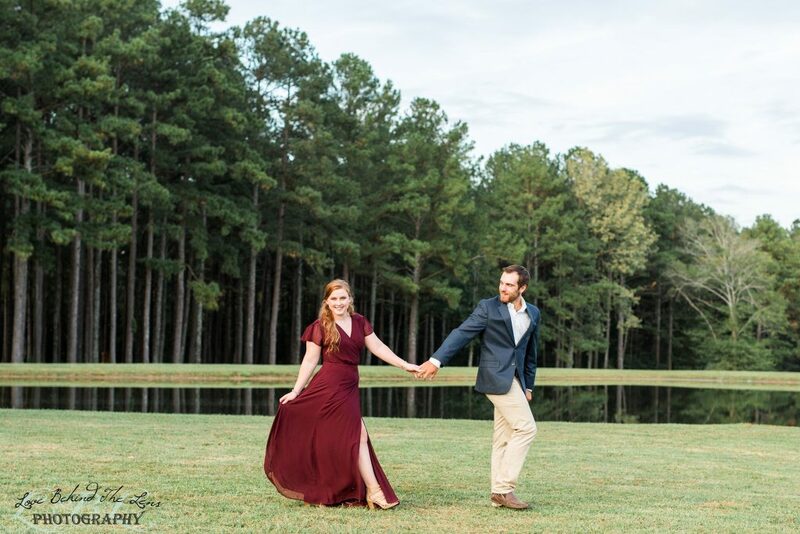 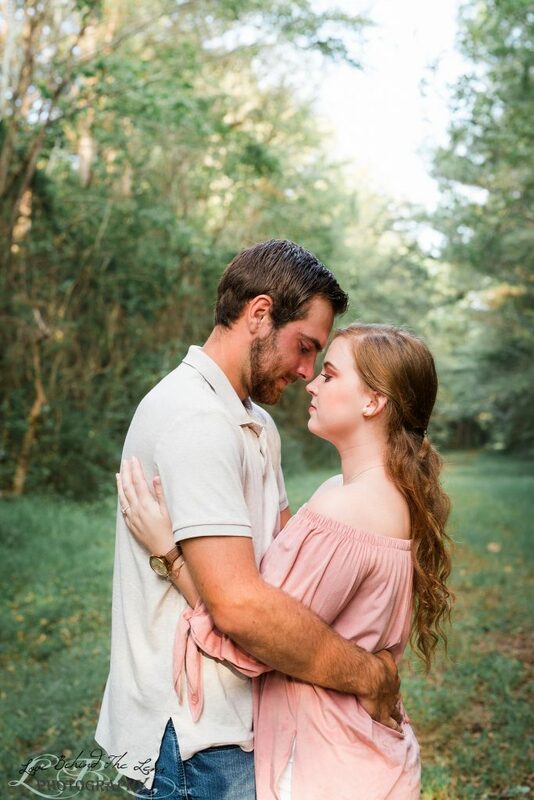 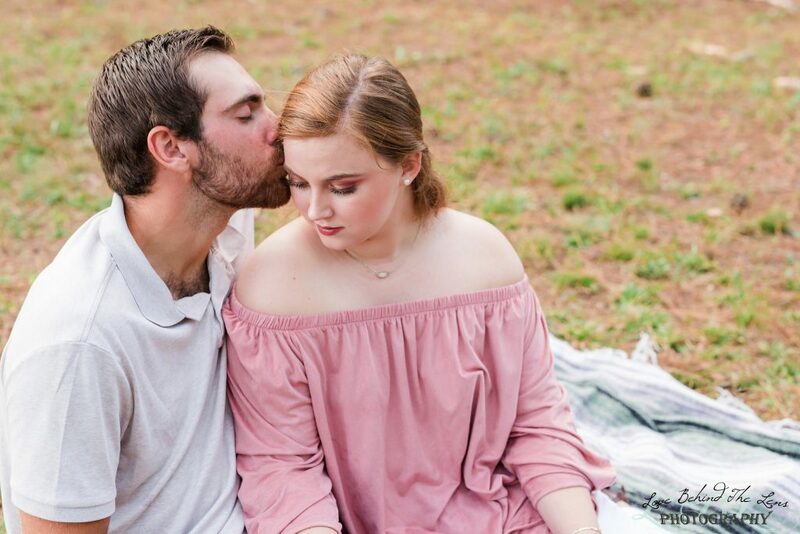 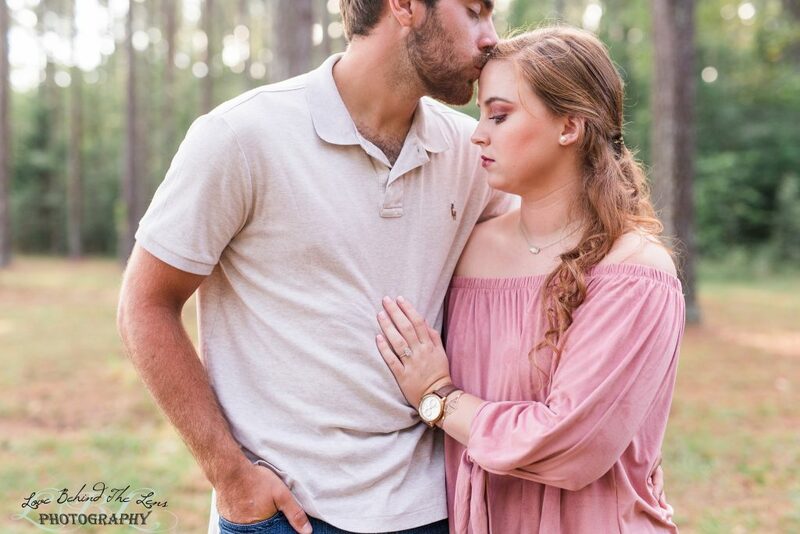 We loved working with Ariel and Blake so much, they are both so funny and comfortable with one another, you can tell just by being around them that they are crazy for each other! 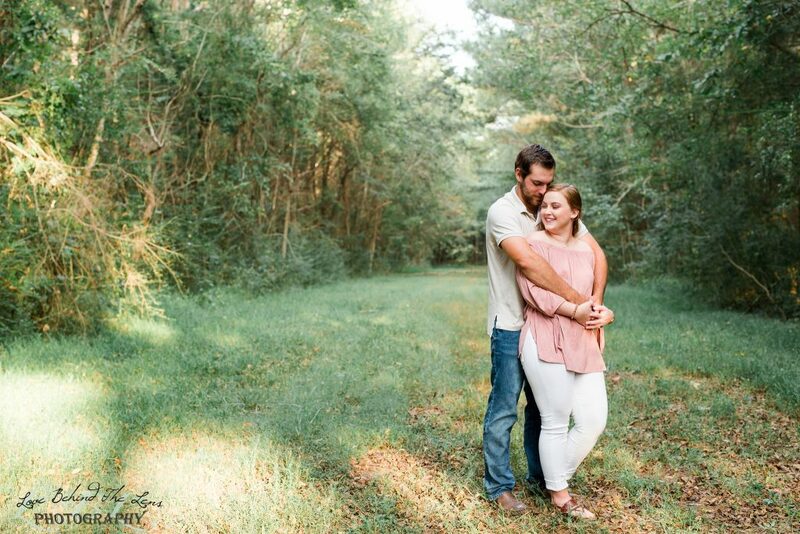 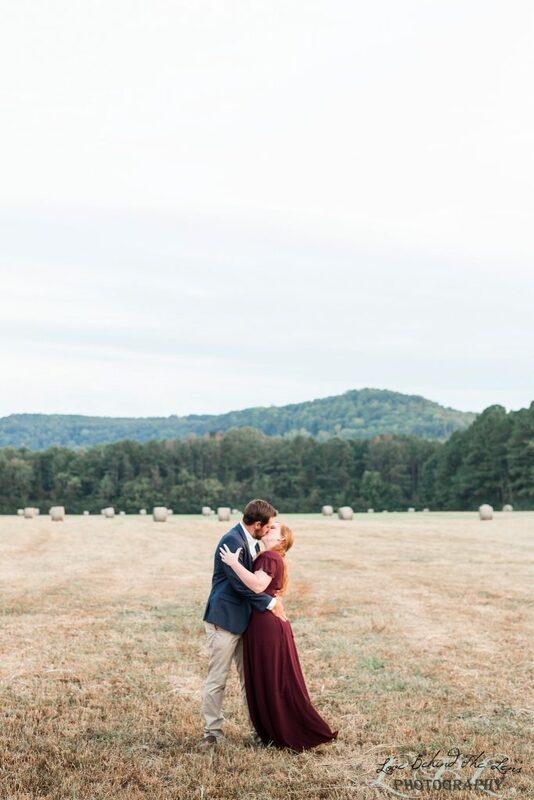 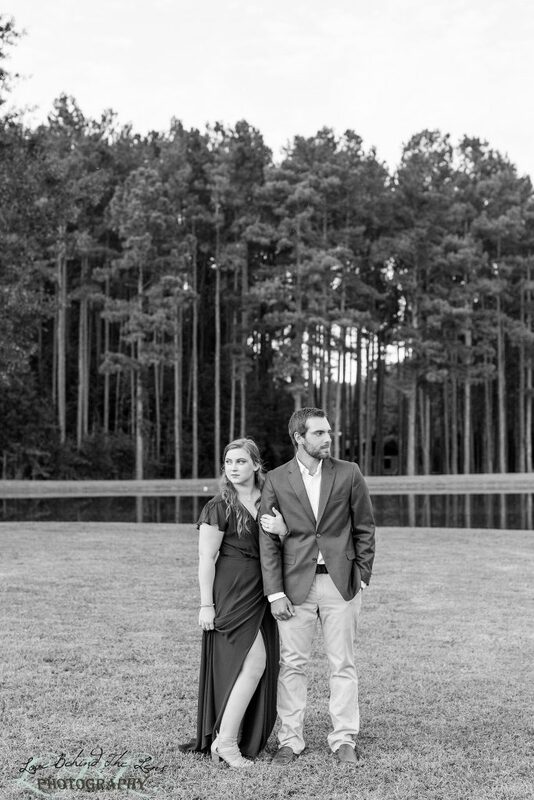 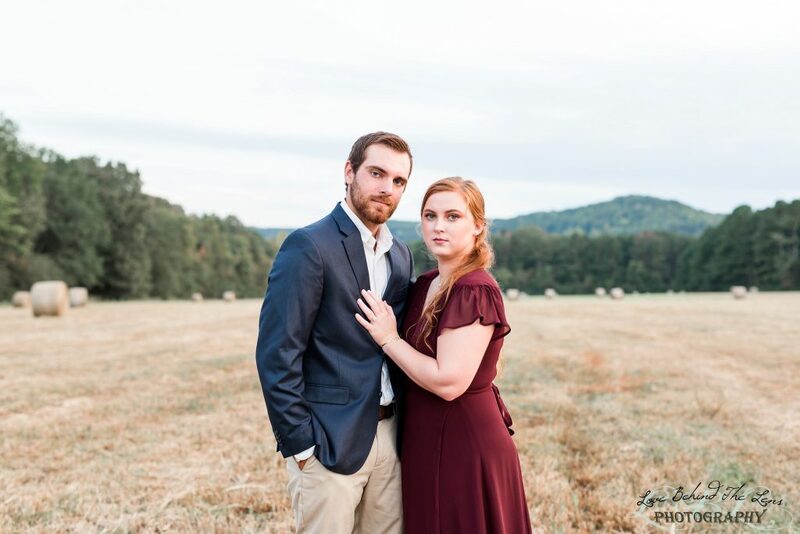 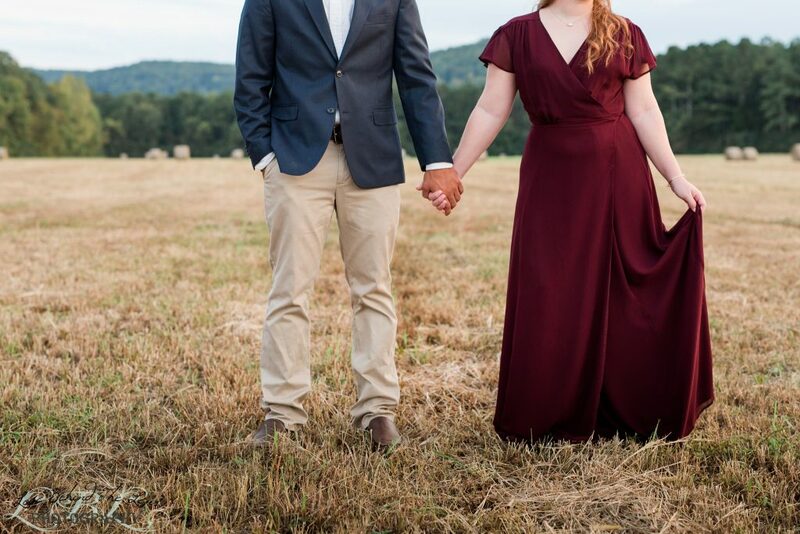 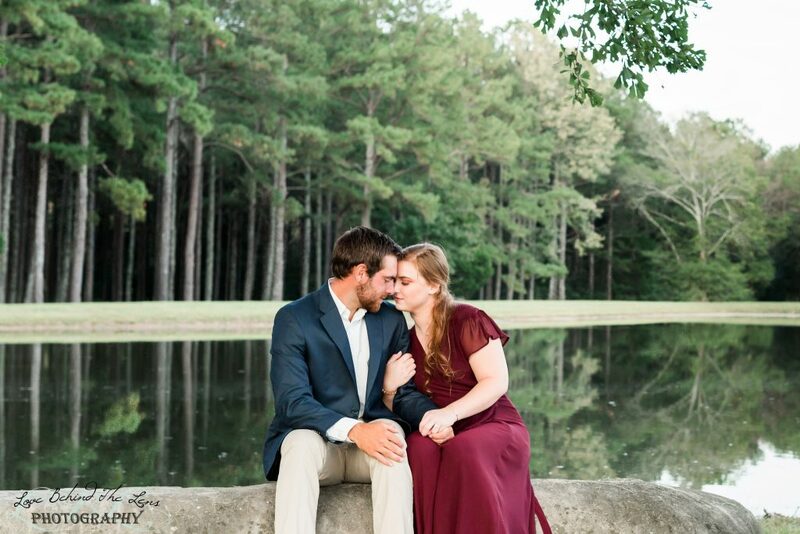 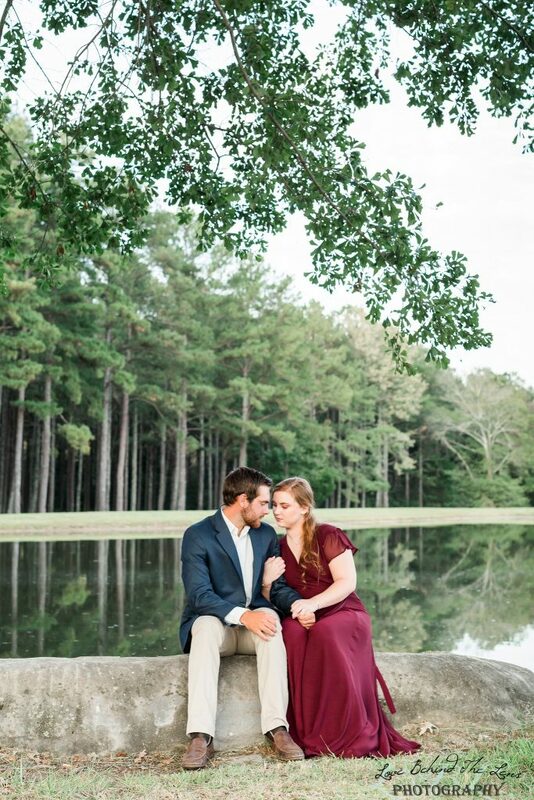 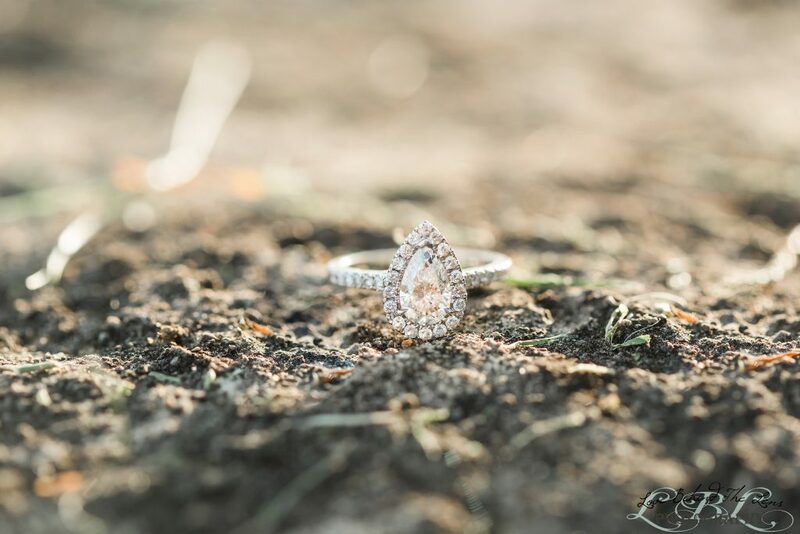 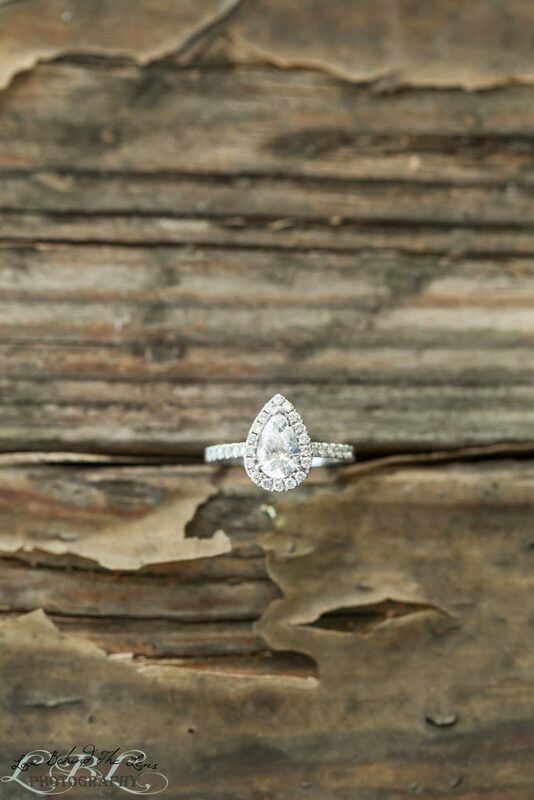 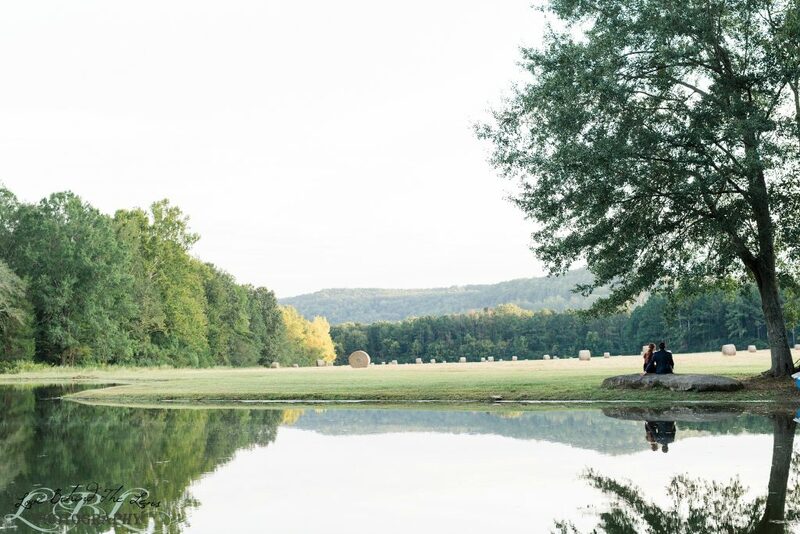 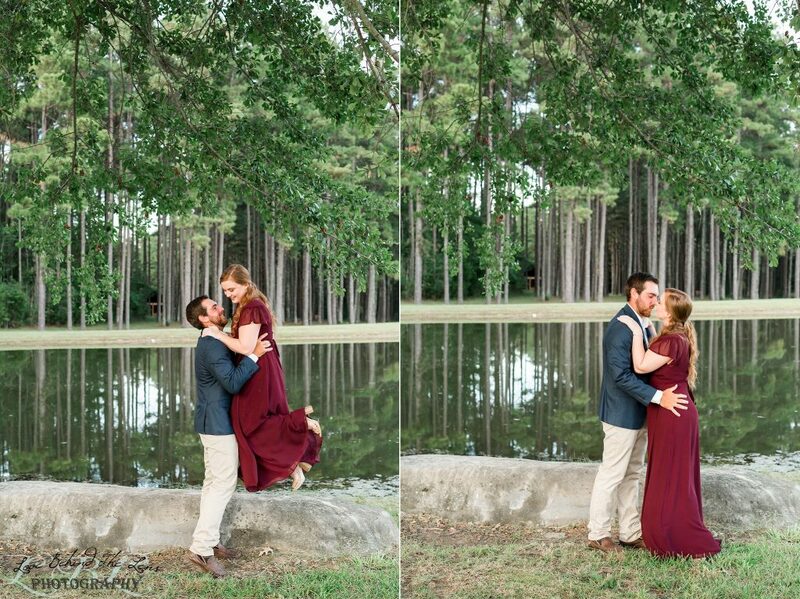 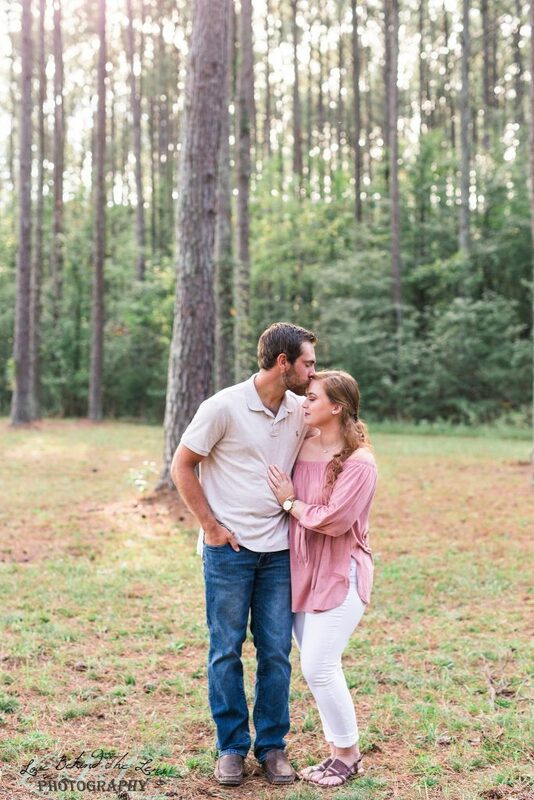 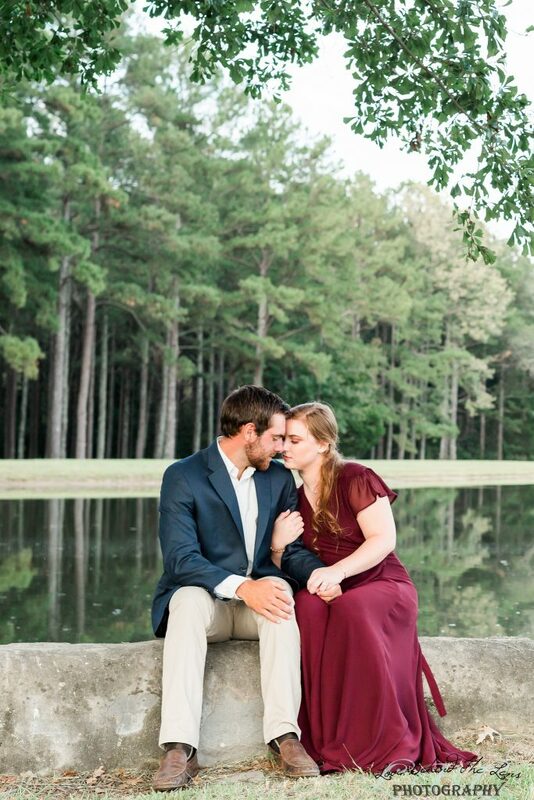 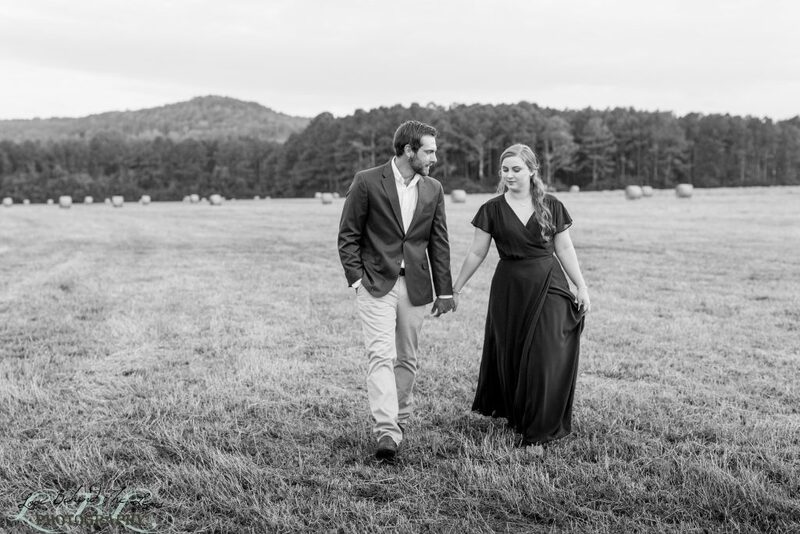 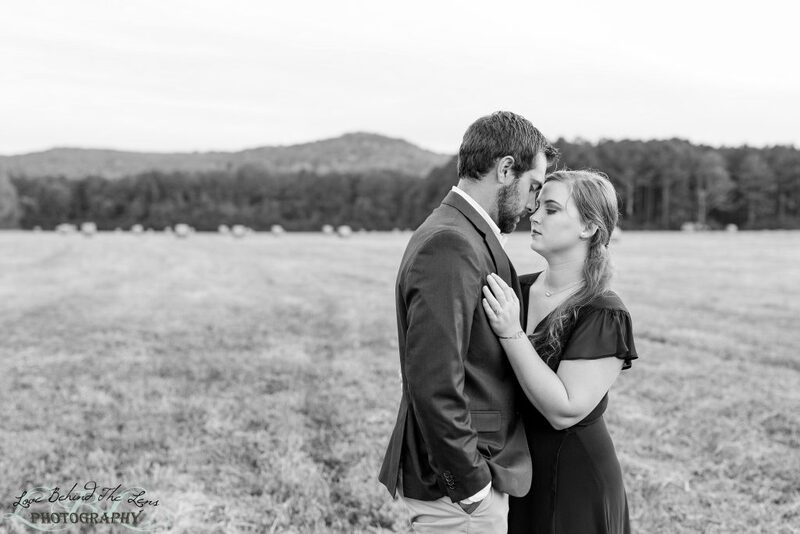 Having their engagement session in the same location as their wedding was important to them. 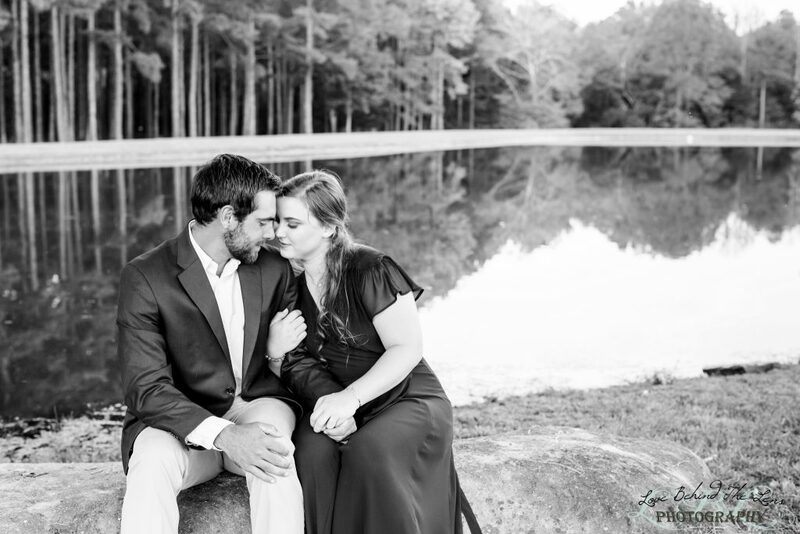 This location is very special to Ariel and her family. 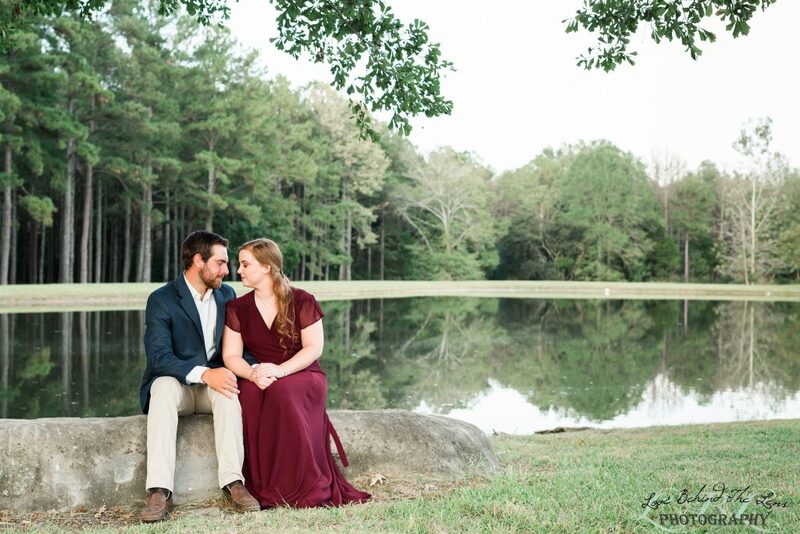 She told us about the rock by the lake and how she and her late grandfather would fish off of it. 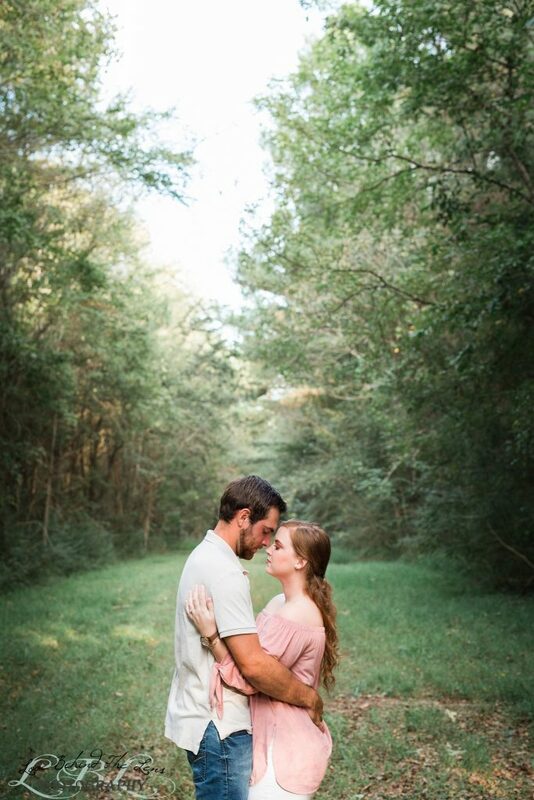 It is just gorgeous and I know that that oak tree will make a steller location for their forever vows in May. 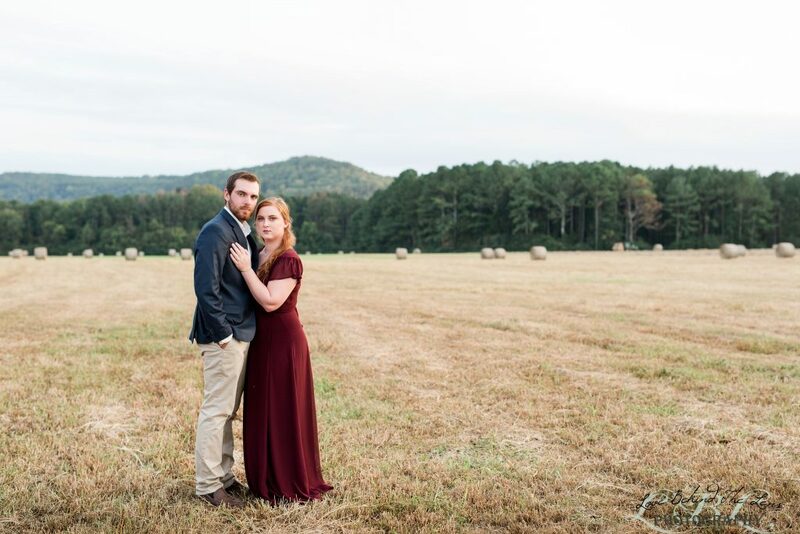 We absolutely can’t wait to work with these precious people again in the spring. 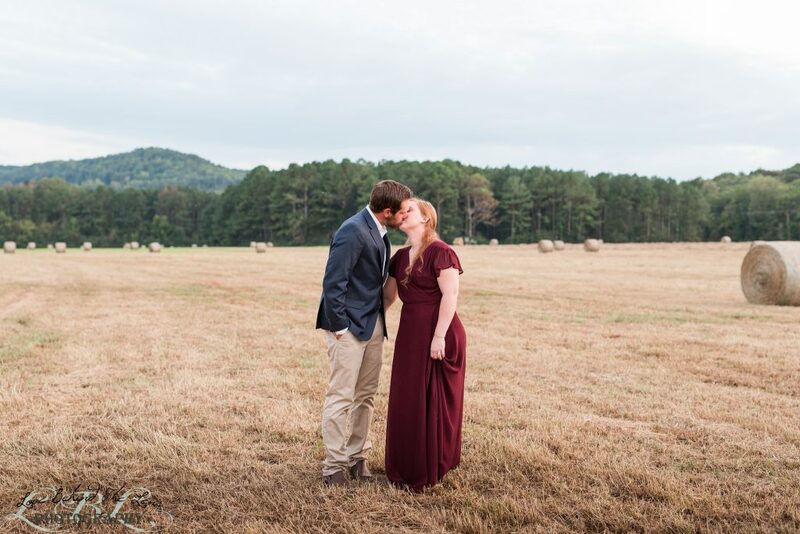 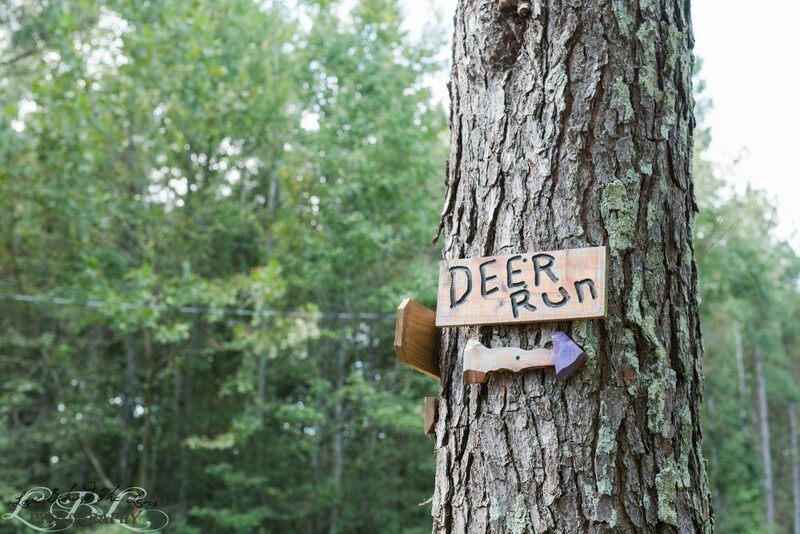 Some of these images turned out to be some of our favorite of the year so far! 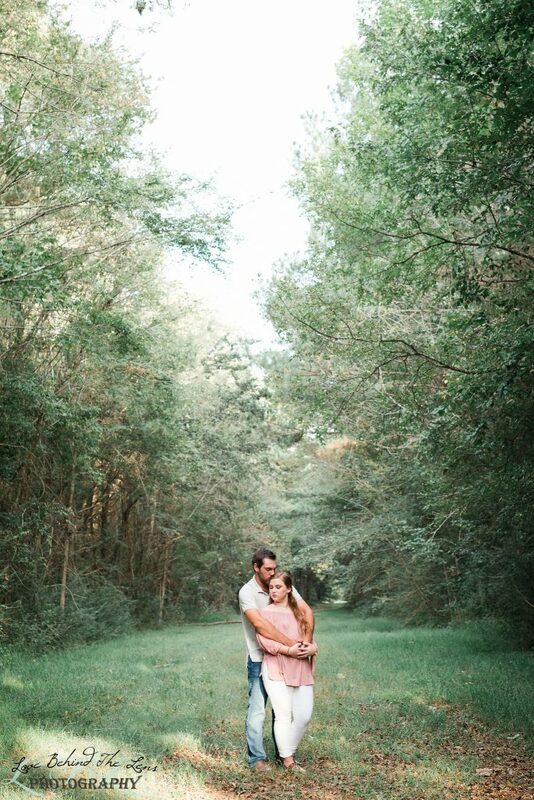 We hope that your enjoy this preview and love these images as much as we do!